It's called the Seaside Taverna for a good reason, you couldn't get closer to the beach! But you'll probably spend all your time at one of the two pools, which are the centre of the action as other Freestylers often use these facilities. Very, very clean. Pool is great. Location is quiet, but only a short stroll into main strip which was perfect. If your after a cheap place with great location and not too far from main party area,this could be it. Went for a week with 4 other girls, and it was the best week of my life, honest! The rooms got cleaned twice throughout the week which was good, but they took away the towels and didn’t give us any more, so that wasn’t great. It’s about a 10 min walk to the strip, but me and my friends preferred it, because it gave us time to walk and drink. And it was quite, so we could get to sleep. The food at the bar was nice, wasn’t anything amazing, but it was good. Buy one get one free on cocktails from like 8-9, boom! The hotel is right on the beach, it’s not the best beach, but it’s a beach. I would recommend this to anyone, it was amazing, the staff were really nice and were there if you needed help. If you couldn’t be bothered going out, they play films, which was good because 7 days constant partying is just too much for me. All in all, an amazing holiday! My sister and I visited Akrogiali back in August and it was great!!!!! (Well apart from the last night but all shall be revealed!! 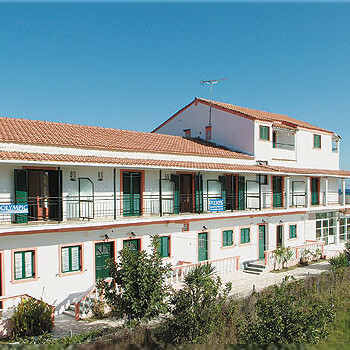 Hi Akrogiali seaside studio apartments kavos Corfu . I loved the Sea Side Hotels. They are basic but this can be expected in Greece. The Pool Bars serve fantastic food or there is also a sea front restaurant. The Beach is a 30 second walk away and couldn't be nicer. Make Sure you say hi to Karen and Billy who own and run the hotel. There fantastic and made our holiday. Kavos and Bar Street is about a 10 minute walk away which is perfect as you can get a quiet night to recover. Its also really funny walking home at night/morning. Would definately go back and visit again. Self catering but you wouldnt self cater in these apartments dirty smelt of urine, infested with red ants and mice. Hotel rooms never seen bleach. Hotel staff were friendly but didnt care about upkeep of place or the fact there were 3 break ins while we were there. I would definitely not visit this hotel again unless i had severe amnesia. worst thing about the seaside studios was the staff, the maid took 5 euros one night and 10 euros another, seemed like a pattern. She also forgot to change our bathroom bin, so after 3 days of putting your toilet paper in the bin in the greek heat, it stunk. The owner of the hotel didn't have the time of day for you, burnt the food and was very rude. we had to find our room ourselves, which was hard seen as there was no number on our door. You get one toilet paper roll for your stay, the rest you have to provide yourself. Only 3 rooms have balconys, count yourself lucky if you get one! No change of towels or sheets all week and the sheets were so old and thin you could almost see through them. Lizards and ants were found on a daily basis. A 15 min walk from the centre of kavos (absolutely amazing), shame about the state of seaside apartments, no wonder thompson stopped giving them business! First impressions were good, basic but clean. Sheets could have been changed at least once during the week. Also towels, the location was fantastic because it was out of town and quiet but only a 10 min walk into all the action. The staff were always friendly and took time to ask about your plans for the day. No entertainment on site but that was fine, a very relaxing and calm place to be unless you want it to be wild then hit Kavos. Great bars in Kavos good for a laugh and a real good mix and not at all sleazy, yes I would go again. After arriving here in the early hours of the morning we were glad to rest down our heads and get some much needed sleep. When we woke up in the morning we were shocked with the size of our room and the facilities inside. We asked a rep to change our room which he did very quickly and was happy to do so. So our next room being about 3 times the size we decided to get on with our holiday. That morning we walked in to Kavos and I have never been so scared in my life! At one point there was three vehicles abreast coming in our direction to which me and my girlfriend had to jump off the road to avoid getting killed! Kavos is a pleasant small town with plenty of gift shops. The night life is obviously far better in the middle of summer but we still had fun even though half the pubs and clubs had shut down. After one night out we came back to our room to find Ants, yes Ants, all over our floor. The staff are very pleasant and helpful. The self catering rooms are not up to scratch and very noisy. The pools are adequate and the bars are cheap and good fun. The staff at the supermarket next door are the nicest people you will meet.